For the stewards of the web out there, and by that i mean web developers, designers, and product managers some pretty big news emerged over the past 48 hours. 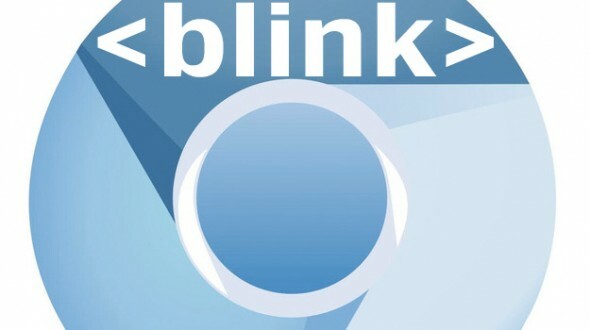 First Google announced their own browser rendering engine called Blink. Meaning, from 2007 up until now Chrome and the Open Source Chromium project has been developed on top of Webkit. Now Google has announced that they will branch WebKit and drive it on their own terms and in the direction of their choice. Open Source people, don't worry Blink is of course also open source (Chromium and Mozilla have proved the benefits of leveraging the web community at large to harden your browser engine, and its clear that Google enjoys the benefits of their vibrant web community). Second, right on the heels of that announcement Opera Software (disclaimer: Opera is the parent company of Skyfire.com where i work) announced that they are committed to the Chromium project and not WebKit. Meaning Opera is also all in on Blink. In essence i see Blink as a clever marketing move that reflects that both Google and Opera will now be contributing to the same open source project, Chromium. My guess is that both of these companies see a reason for why Blink will need to diverge from the main Webkit. If you read the official Chromium Blogpost on the announcement of Blink they provide some pretty good reasons for doing this move, from the point of view of keeping the Chromium codebase healthy and agile.